My girls both came home with drawings of me for Mother's Day from school. I thought it was funny that they looked so similar - right down the pink dress. And I also think it's funny that neither of my girls know that my hair is naturally dark dark brown and not blonde. But they have noticed my R&F lash boost apparently. ha! Saturday morning I went to the gym and came home to sweet cards and flowers from my family! Harper was invited to a birthday party Saturday afternoon and the mom brought in barn animals. Hello - dream come true! Baby cows, baby ponies, baby sheet and rabbits. Harper had the best time! Saturday night our Sunday School class had a big fellowship to say goodbye to a family that is moving to Wisconsin this week. We had it at my friend Maegan's house. They live on some land and it's a great house for kids to run around. I didn't really talk to hardly anyone because I was so busy chasing this wild man around. But he played so hard that he slept until 8 this morning (he's usually up by 5:30) and then he took a 3 hour nap. So happy Mother's day to me and we will be going to Maegan's house every Friday night from now on so I can sleep in on Saturdays. ha! I met Kacy about 12 years ago when we both joined a newlywed class. She quickly became one of my best friends. 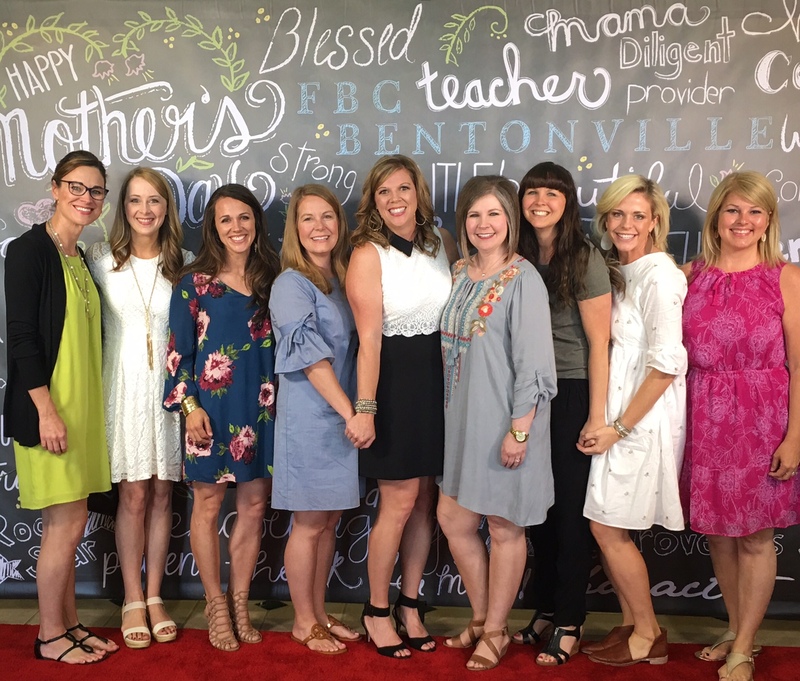 We went through struggling to have babies together to teaching 4 yr old Sunday school to teaching AWANA together to serving on the PTO board together to hosting 385 baby showers together to laughing, calling and texting nearly every day in between. Kacy is such a servant and one of the most faithful friends I have. My favorite memory of her was when I was in the hospital with that awful staph infection in my face and no one could come see me and even doctors came in wearing hazmat suits but Kacy came up one night and brought me a sonic Coke and sat and watched bad reality TV with me. That's the kind of friend she has been to me. It's hard as an adult to make really close friends who you can let in your inner circle. I'm grateful Kacy has been in mine and I know that a few thousand miles won't keep us from staying friends. I have a few more meet ups with her this week before she leaves and I'm trying my hardest not to be a crying mess. I've had about 7 months to prepare for her leaving but it doesn't make it easier. This morning we headed to church for Mother's day. I'm so thankful for these babies. I am overwhelmed with how much I love them. Our church had a fun step and repeat to take pictures in front of this morning. This is just part of my mom squad. Being a mom has been so fun because I have these girls to help me through it. These friends encourage me and we hold each other accountable. And we laugh a lot. What a gift they all are to me. I could weep again about each of them. Today also happened to be Steve's birthday and he requested that we have dinner at Outback. The girls sat in a booth together and we ate and talked when we weren't wrestling a little bear named Will. Will Holden did discover a blooming onion and he went nuts over it. ha! It was a wonderful weekend with wonderful weather. I feel like summer is right within reach. I hope you had a good weekend. I hope if it wasn't the best weekend for you - for whatever reason (I know there are many) - that this week ahead will hold joy for you.